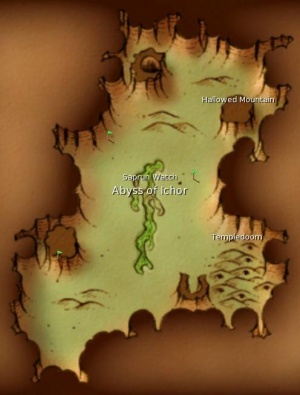 Abyss of Ichor is a Prime Roots region and, as it doesn't border any other Prime Roots regions, also a Prime Roots section all on it's own. 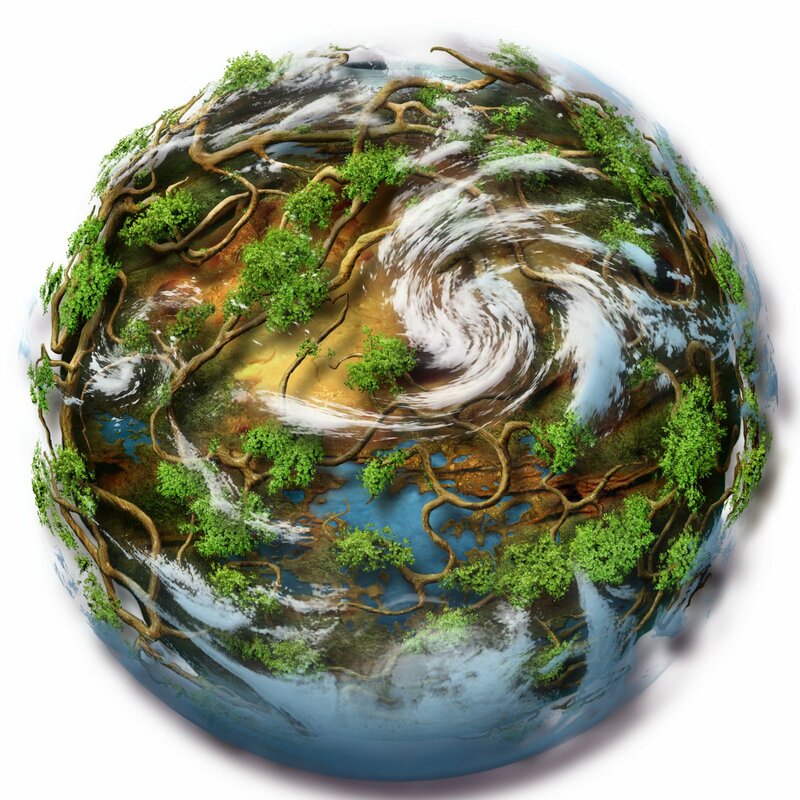 It's connected by tunnels to the Verdant Heights to the north and to Nexus to the south-west. Though the region is level 150-200, it has some dangers you'd typically only find in higher level Prime Roots regions. Two level 260 named kitin wander around, as do several kitin patrols of level 225-250. This makes the Abyss of Ichor much more dangerous than it's level range would suggest. The thriving populations of bodocs, yelks and gubani in the Abyss of Ichor are constantly preyed upon by large numbers of varinx and tyrancha. In places, thick concentrations of kitins can be found, including kirostas, kinchers, and kipuckas. Kitin patrols roam the Abyss, constantly looking for unwary homins. Flora consists mostly of small jubla forests. A series of interconnected caves criss-crossing beneath the low hills in the south-east part of the region. A large shallow lake of sap at the heart of the region. The few deep spots here are the only places in the Abyss a homin can escape from pursuing kitin patrols or other predators and kitins too big for him to defeat. A large underground mountain that dominates the north-west part of the region. It cannot be climbed and travellers must go around. This page was last edited on 15 December 2017, at 18:05.